Safety and peace of mind usually top the priority list for families. This has become more obvious with the rush of DIY smart security systems that use your WIFI and sync to your phone. They all add value and a sense of safety, even intrusion prevention. With all of that, there are still some limitations. Enter the connected home and smart security. Imagine having complete control of your home security. It would allow you to check in on the kids, arm and disarm alarm systems from anywhere, automatically create the appearance of an occupied home, and ultimately keep an eye out all the time. Knowing your family is safe at night can be as simple as setting the alarm and securing all doors with the simple tap of a button. ZIO designs and installs security systems with a layered approach that fully integrates all home systems allowing them to communicate constantly. Different cameras provide quality video, this is no secret. Not every outdoor camera is created equal. Some are good in low light and some are incredible in no light. 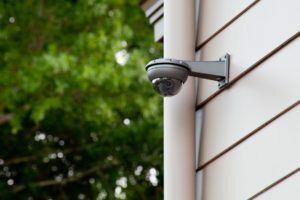 Some security cameras work well close-up and some need distance to provide a quality video feed. 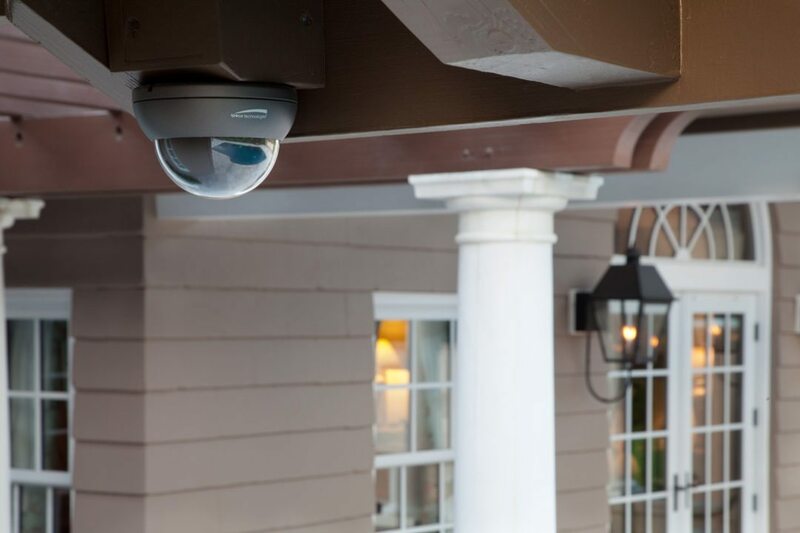 Another consideration that plays a role in outdoor security cameras is the surrounding outdoor lighting. Motion sensors complement outdoor security and can all be controlled through a central control system as well as an app on your phone. A professional install can integrate smart security into your home automation. Similar to outdoor security cameras, indoor cameras play specific roles. And just like outdoor cameras, lighting control complements the cameras video quality. The security system indoors can double as simple home monitoring. With the control system (iPad or smart phone) any room in the home can be monitored anytime throughout the day. Lighting control plays a key role in home security. Motion sensors can turn on lights and enhance a cameras video quality. With home automation, the appearance of an occupied house is as simple as a preset or a touch of a button on your control system app. Outdoor lighting can also act as a deterrent when planned and installed strategically. Access the alarm settings from anywhere for anyone. Each member of the family can have a unique access code. Access codes can also be added or removed from anywhere by the primary user account. Notifications can be set so when a family member arrives or leaves other family members are notified. Features such as this may not be available from some DIY smart security systems. A professionally installed system would be capable of syncing to all of the security features. 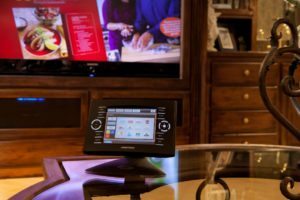 There are many solutions that can allow access from a single tablet/iPad in the home. Which solution is best would be determined by the current needs and potential for additional options for the security system upon expansion. The system may call for a wall-mounted access point and/or a mobile access point within the home. Arm the home, change access code, set occupancy lighting all from your smart device from anywhere in the world. Every setting, custom to your system with unique permissions for each user on individual devices. Distance control can assure a protected home 24/7. For updates connect with ZIO on LinkedIn.